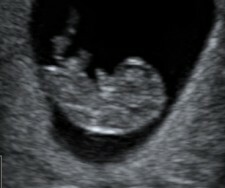 This is a diagnostic scan performed from 7 weeks. As this is a scan on your tummy, you will need to have a full bladder. A 2D scan to confirm you are pregnant, check the number of babies and confirm the heartbeat. Measurements of baby will allow us to determine how many weeks pregnant you are and work out your estimated due date (EDD). Includes a report and 2 thermal 2D (b/w) images. We are able to offer a range of 2D diagnostic scans from a dating scan from 7 weeks, an anomaly scan, to a well-being scan to check the growth of your baby. A detailed 2D scan performed at 19 to 21 weeks to check for any abnormalities and make sure baby is growing normally; we check the brain, spine, major organs, limbs, heart, placenta and perform measurements. We are St Helens first and premier baby 3D 4D scanning centre. Take a Peek is ideally located for Wigan, Leigh, Widnes, Ormskirk, Southport, Blackburn, Chorley, Preston, Bolton, Manchester and Liverpool. We feel our prices are competetive, fair and reflect the quality of care and service we provide. We, quite simply, know we are the best at what we do.